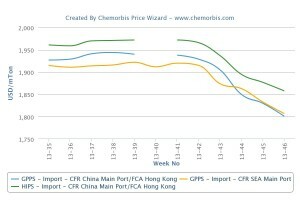 In Asia, PS markets lost ground over this past week as the styrene costs sank to their lowest levels for May as per the pricing service of ChemOrbis. Discouraging end product markets also caused players to resist the offer levels. In China, import Far Eastern GPPS and HIPS prices tracked a stable to $10-15/ton softer trend for both dutiable and non-dutiable origins. 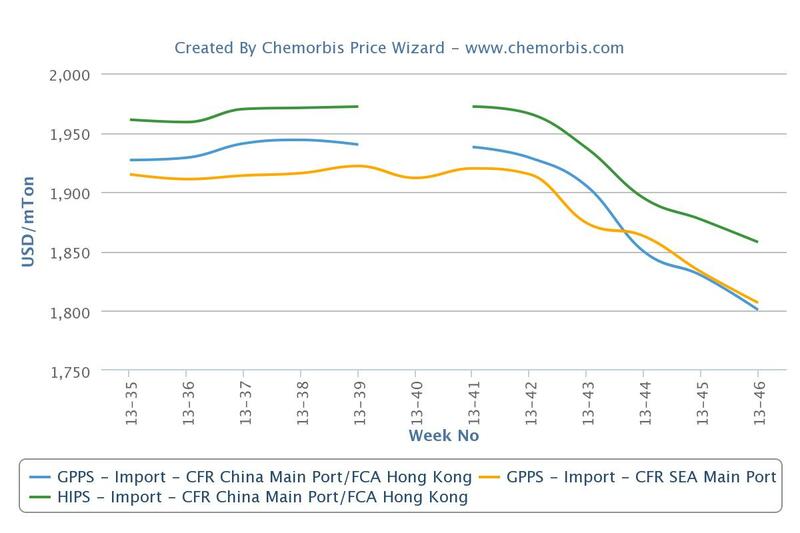 In the upstream markets, spot styrene prices were $20/ton softer both on FOB Korea and CFR China basis. Meanwhile, inside China, spot styrene offers lost CNY225/ton ($32/ton) when compared to the previous week. In Southeast Asia, the panorama was similar. Import prices were $35-50/ton lower for GPPS and $5-30/ton softer for HIPS during this past week. According to ChemOrbis, a trader in Vietnam reported making a small purchase to supply their regular customers. However, he is not optimistic about their sales as the feedstock costs are lower. “We see thin demand for PS as it is almost the off season for PS,” he further added. PS demand is deemed traditionally low in June.